The movie-making industry — Hollywood — that's the one I'm referring to. 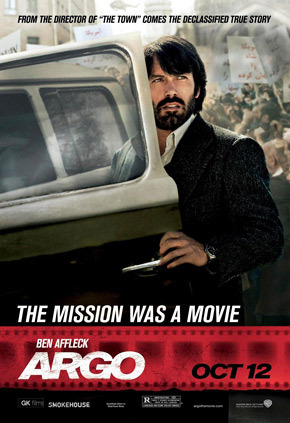 Warner Bros has released three new character posters for Ben Affleck's Argo, the based-on-a-true-story dramatic retelling of the 1979 Iran hostage crisis, when six Americans had to be extracted from Iran after a group of Islamist militants took over the American Embassy. Ben Affleck plays extraction expert Tony Mendez, who organizes an elaborate fake-Hollywood movie ruse, under the guise of a Canadian production company, to get them out. He drafts John Goodman to help in Hollywood, and hires Alan Arkin as hot shot producer Lester Siegel to make the fake movie a "fake hit". 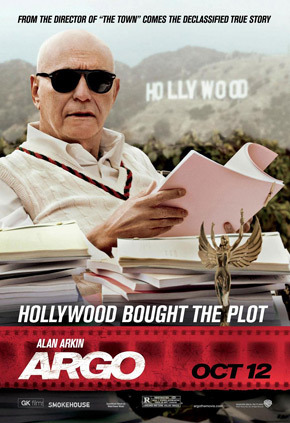 All three of the Hollywood guys get their own Argo character posters this time. Isn't that S.A.M. 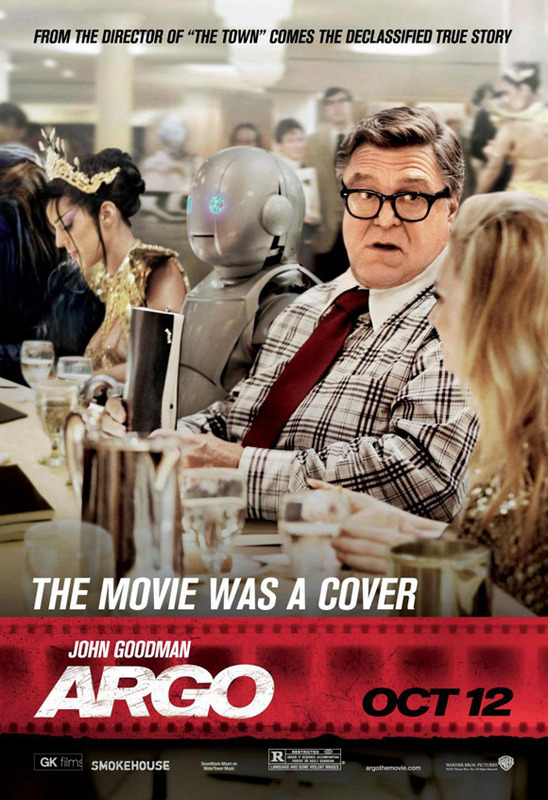 from NTSF:SD:SUV in that John Goodman one?